Updates from Citizens United to Protect the Maurice River and Its Tributaries, Inc.
CU’s Watershed Steward Program 2016 (WSP) continues to provide information on ecofriendly best-management alternatives to more harmful traditional property management techniques. Throughout the newsletter this program’s activities are labeled WSP (sponsored in part by The Watershed Institute). David is a local certified Leadership in Energy and Environmental Design (LEED) contractor, with a background in engineering, construction management, and green building fields. He holds a bachelor’s degree in Civil Engineering from the University of Notre Dame and a master’s degree in Construction Management from Philadelphia University. 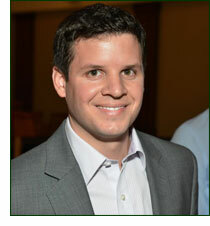 After working in Chicago, David returned to the area and is currently working for Stanker and Galetto, Inc., a regional construction company. He specializes in LEED project solutions, from site selection and building, shell design to renewable power sources, masonry, concrete and carpentry. His presentation will introduce resource efficient building strategies and explore what simple tasks everyone can employ to make their buildings function in a more environmentally-friendly manner. He will offer ideas for green building design, infrastructure, and construction, while highlighting ecologically-friendly interior design practices and the importance of regular maintenance. Tuesday, September 20th 9:30 at Stockton University with Alice Gitchell and other university employees. Experience Stockton University’s Energy and Sustainability Initiative. Many of these green alternatives can be implemented by private property owners. Carpool leaves from Waltman Park at 9:00am. Thursday, October 13th 6:45p.m. at Winfield’s Restaurant Upstairs. Dr. Christopher Obropta, Ph.D., of Rutgers Cooperative Extension Program presents Harvesting Rain / Stormwater Management. This is a great opportunity to meet and greet other local environmentally-conscientious business owners. For dinner reservations, please contact Winfield’s. Businesses also can set up their own meeting with CU Maurice River. We would like to speak with them to learn more about ongoing water-conservation and protection projects and practices, and to present them with a copy of The Partnership for the Delaware Estuary’s Blue Guide, a wonderful reference tool for planning future water-efficient initiatives. At the end of the Down Jersey Business Stewards’ Program, CU Maurice River will compose a list of businesses that act for clean and plentiful water in the Maurice River Watershed and release it to local media and other community outlets. 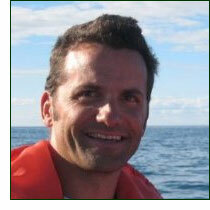 Bill is a project manager and generalist ecosystem restoration practitioner, focusing on landscape architecture, ecology, who has more than 20 years of professional experience. His restoration expertise includes oyster reefs, fish passage, tidal wetlands, marine debris removal, living shorelines, dunes, and horseshoe crab spawning beaches. Bill’s presentation will explore the state of estuary health and the benefits of living shoreline restoration efforts in estuarine and riverine areas. Learn how controlling erosion with methods inspired by natural systems is making the difference in the Delaware Bay Area. Riverfront property owners can employ these techniques on their own properties. Existing trustees nominated for continued service are those whose terms expire in 2016: Irene Bird, Ethan Aronoff, Leslie Ficcaglia, Sue Leopold, and Suzanne Olah. Accepting nomination to the board to fill out unexpired terms which have become vacant are Dr. Mary Steinacker and Gary Moellers, who will be added to the 2017 group. Thus they would serve one year with the probability of being nominated again next year. Each brings expertise to the board. Gary has been involved in administration and development work, especially in the mental health field. We have worked with him on the Guidance Center Trail. Gary also has had over 30 years of involvement with the Boy Scouts. Mary Steinacker’s PhD focused on youth and out-of-door education as a vehicle for reaching students. She has 30 years experience in public education and has received many accolades for her achievements. She has represented CU at festivals, has been volunteering at YMCA Camp Merrywood for our summer program, and has helped with the event committee. 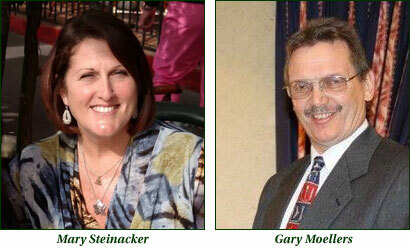 Both Gary and Mary will enrich the board with their talents, skills, and enthusiasm. Sitting trustees from the cohort of 2018 are Jane Morton Galetto, Anthony Klock, Sue Fenili, and Mary Ann Russell; for 2017 they are Mary Watkins, Jody Carrara, and Thomas Talalaj. Retiring from the board and moving to Trustees Emeritus are Karen Johnson and Richard Jones. DANCE DANCE DANCE! 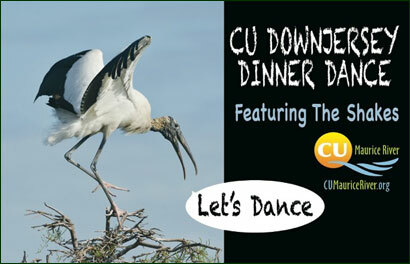 The CU Down Jersey Dinner Dance, our Fall FUNdraiser, will be held on Saturday, September 17th at 6 p.m. at Greenview Inn, Eastlyn Golf Course, and it’s going to be a blast. The Shakes will be back once again to help you shake a leg. Please reserve your spot NOW for a wonderful evening celebrating with fellow CU Maurice River supporters; tickets are $85. For reservations email Doreen or please PAY NOW. CU Maurice River and the Cumberland County Improvement Authority will participate in the National Waterways Clean-up on Saturday, September 17th starting at 9:30am. in Waltman Park. Help out on land or in a canoe to remove litter and other items from the Maurice River. Estimated conclusion is 1 p.m. If we have enough participants, we will split forces and clean up the Menantico as well. A special thanks to Amcor for their support in this stewardship effort. September 24 Monarch Mania 9:15 am – meet at CU Maurice River’s office at 17 E. Main St., Millville to carpool. 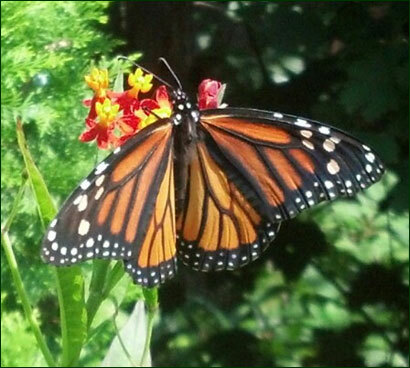 Mark Garland of NJ Audubon will lead a tour examining the natural history of monarchs from 10:30am -12pm. Afterward members may opt to bring a picnic lunch for Cape May Point State Park. Participate afterward in a membership walk in the adjacent meadows and forest. Members free, nonmembers $25. RSVPs required for either event; email Doreen. October 8 Union Lake Paddle and Potluck – join us at Union Lake WMA ramp for a paddle at 9 a.m. Then attend a Campfire / Potluck at Galettos’, 5:30 p.m. RSVPs required for either event; email Doreen. Wendy Walker Wanders: Be on the lookout for emails titled WWW@”SITENAME” for information on impromptu walks with Wendy & Company. Our volunteer naturalists often like to organize outings based on weather reports and enthusiasm. Think of it as being similar to a neighborhood game of stickball when you were younger. Tuesday, November 22 – Edwin B. Forsythe National Wildlife Refuge, Brigantine, NJ. Catch a glimpse of winter migrants as we tour the impoundments. If you have a National Park Senior Access Pass you will not need $4 per car to enter the impoundment road. * One pass can cover all participants in one car. Then eat lunch at the historic Smithville Inn. And for those shoppers in the crew you may wish to browse the quaint shops of Smithville Village. *An alternate plan may be necessary since the Forsythe impoundments are being scheduled for renovation, so stay tuned. The restaurant would like a count ideally two weeks in advance so please reserve your spot on the outing contact; Doreen at doreen.homan@cumauriceriver.org or call 856-300-5331. Victor Emanuel Nature Tours – VENT You can begin reserving your spot on the tour of your choice. The trip with the most CU Maurice River members at this point is Ecuador: The Northwester Andean Slopes. It runs November 11-19, 2017. CU President Jane Morton Galetto and her husband Peter plan to go on this excursion and hope that many of you will join them. Call at 1-800-328-8368 to hold your spot on any tour. Simply tell them CU Maurice River has referred you and they will make a special donation to the organization. For 2017 there is no Spain trip; we apologize for any error. The Southern Arizona trip also generated interest. This trip, called Avian Jewels of Arizona, takes place July 17-25, 2017. Arizona is a long-time favorite of VENT and it is sure to please. We urge you to make a deposit to hold your spot on the tour of your choice. The deposit for domestic trips is $300; for international trips it is $500. You can email Jane forrivers@comcast.net for a short paragraph provided by VENT on their deposit policies. Once again this summer, the campers who attended YMCA Camp Merrywood had a special treat. Volunteers from Citizens United to Protect the Maurice and Its Tributaries, Inc. presented a variety of weekly environmental education activities. 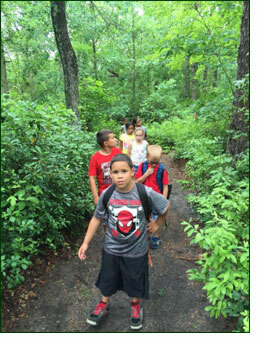 Leaders conducted nature walks and assisted the campers as they looked for the presence of animals. They identified animal tracks, various feathers, and other signs of wildlife. Plein air (painting outdoors) sessions encouraged the campers to set up their easels, look around them at what they saw in the woods, and try to capture those images with watercolors. They also learned about sun exposure and made sun visors. Everyone had fun creating bird feeders and learning to identify a few of their forest friends. One day the group hiked through the forest searching for items to make nature wind chimes. They also participated in a drum circle. Other activities included basic knot tying and creating knot bracelets, and playing “Simon Says” to encourage following directions. 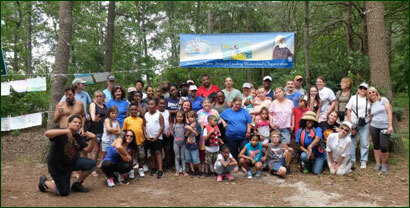 It surely was an exciting summer for the children at Camp Merrywood and for the volunteers from Citizens United. A special round of applause to everyone involved in this year’s effort to help make our young people stewards of their environment! June 11 was one of our BIG days. 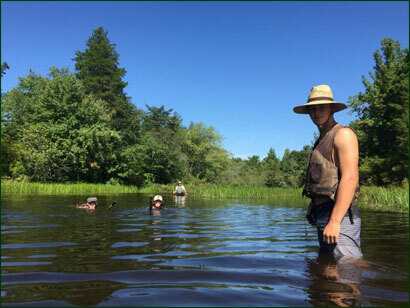 Paddlers enjoyed the many creatures and flora of Menantico Ponds Wildlife Management Area. In the early evening new members had a meet and greet orientation at the Russell home, followed by a well-attended campfire gathering. Thanks to the Russells for hosting and the many participants who brought covered dish meals to the event. Bay Day took place on Saturday, June 4th at the Bayshore Center in Bivalve. We would like to thank the many volunteers who represented CU and helped the attendees to enjoy the day. On June 5th we cancelled our attendance at Barn Day because of severe thunderstorm warnings. It turned out that weather cooperated after all, so we were disappointed that we had not participated. July 30th – Laurel Lake Triathlon – Suzanne Olah and Mary Ann Russell set up a table for CU Maurice River. So far three new memberships have come from this event. 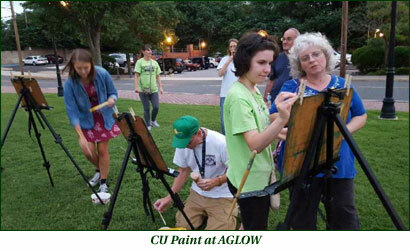 July 30th – We participated in AGLOW with our CU Paint-A-Landscape activity. This was a community evening put together by the Glasstown Arts District, Millville Development Corporation, and the Cumberland County Cultural and Heritage Commission. 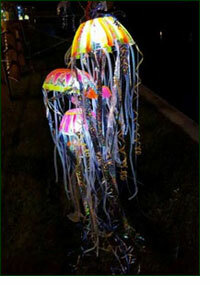 It included lighted art installations along the river, music, and ice cream. Thank you, CU Ambassadors, for making our participation possible. This summer we held Elevate Enrichment Day on August 3. It was a smashing success; around 50 people participated. First the families watched a slide show of the previous year’s event. Then it was off to the riverbank for painting, paddling, a motor boat ride, birdwatching, and lunch, finishing up with a seining activity. A yearly event since 2005, Jane always remarks, “This is a volunteer favorite! And our guests love it. 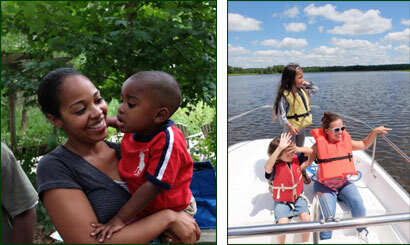 Our original campers now have their own children attending.” This year one addition was the Millville Rescue Squad, who arrived in their boat and kept a close eye on the canoeists. Thank you so much, Millville Rescue Squad! And thank you to all of our own volunteers – we love what you contribute to our activities! This year we had six river cruises FULL for our annual August Purple Martin Spectacular. Due to a cool and rainy spring, the martins suffered many mortalities and their numbers were less robust than in previous years, but they did not disappoint with their constant aerial gymnastics. Also the red-winged blackbirds were amassing in large flocks in anticipation of the maturing stands of wild rice. Special thanks to NJ Audubon Society’s and CU’s naturalists for their helpful narratives on board the vessel. And as always a thank-you to CU Wildlife Management Director Allen Jackson whose great knowledge of purple martins is nationally renowned. August 19 Maurice House Art Show. Caitlin Mazkowski, CU’s Visiting Crafts Coordinator, has been working with the residents of the Maurice House assisted-living community on arts and crafts over the past year. The residents and Caitlin have a special bond. 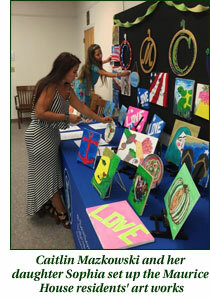 They presented an art show and also shared some of their life histories. Many of these amazing women were in their 90s. It was a moving experience and we thank Caitlin, the staff, and families of Maurice House for their enthusiasm for the project. Also on August 19th our forces were at Cape May Point State Park for the Pledge to Fledge Festival, a day of fun to get families turned on to the natural world and bird watching. The event is especially geared towards children, with touch tanks, nature crafts, live animal and bird demonstrations, and fun and creative activities such as the Citizens United Paint-A-Landscape. This festival has a stellar crew of volunteers coming out to share their skills, talents, time, and concern for birds and the environment with others. From outreach events/activities like this, we may inspire the next generation of conservationists! At the very least, we will be opening people’s eyes, minds, and hearts to the nature around them and, therefore, bring a little more joy to their lives. CU Ambassadors were Carl Homan, Ferne Detwiler, Dian Shivers, Wendy Walker, Mike Golla, Elayne Sama and Rob Dube, led by CU Membership, Events, and Office Manager Doreen Homan. Dragonfly Nymph Collection – On August 24th, 25th, and 26th, over 30 CU Maurice River citizen scientists collected 45 dragonfly nymph specimens to be tested for mercury. Analysis of dragonflies can shed light on environmental quality. The specimens were sent to the University of Maine as part of a large air-quality study that is being conducted in over 60 national parks nationwide. The Maurice River was the only park in the Mid-Atlantic Region to be selected for the study, and this is the second year we have participated. Results from the 2015 samples should be available in the upcoming months. Volunteers put in just shy of 200 hours over the three-day period. 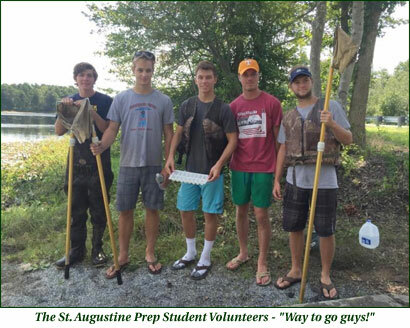 Among them were five St. Augustine Prep students, who elected to complete their community service requirement using experiences they gained with CU Maurice River’s conservation projects. All 5 of the students earned over 100 hours each! They collected dragonfly nymphs, built wood duck boxes, checked osprey platforms, did trail work, and so much more. Thank you, St. Augustine Hermits! 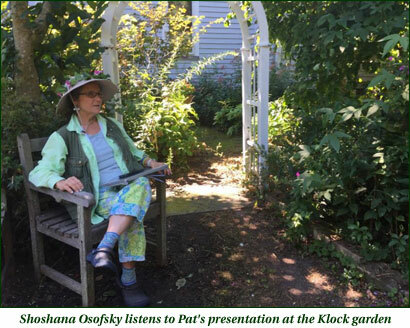 As always Pat Sutton led a great garden tour, this year held on August 27th. Most of the participants were new to the event and expressed how much they enjoyed the day. We had two long-time favorite gardens on the tour: the Klocks’ and Janet Crawford’s. 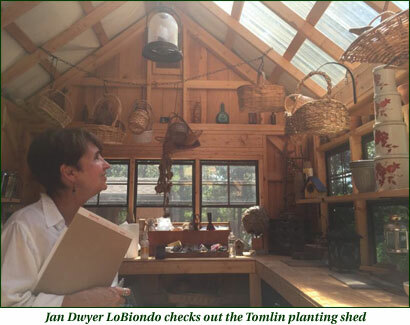 The Klock garden unveils itself as separate rooms and Janet’s garden abuts protected woodlands and is abundant with butterflies. Vicky and Robert Tomlin, and Chris and Arnold Clemenson of Clemenson Farms, offered new sites for the event. The Tomlins’ property is on the shores of the Manumuskin Creek and offered not only great flora but a wonderful vista of the river. Clemenson Farms Native Plant Nursery allowed participants to see how quickly a native garden is established. Furthermore they were kind enough to open the day’s last stop up to anyone who wished to attend and they also offered members a discount on all plants. June’s Tuesday on the Fly was postponed to Wednesday, June 22, due to weather conditions. The travelers went to Cox Hall Creek Wildlife Management Area to see the process of restoring Ponderlodge Golf Course to a wildlife area. From there they lunched at Cape May Point State Park and The Nature Conservancy’s Cape May Meadows. The weather was delightful and everyone enjoyed the day. The numbers of downed trees we saw from the previous day’s storm showed that we had made a wise decision to postpone until Wednesday. It is rumored that many folks meandered around Cape May after the tour. Tuesday, July 19th we all had a wonderful time with Captain Dave aboard his Maurice River cruise boat. In fact it is so popular to sail with the Captain that one and a half hours after we posted the trip the boat was full! Cumberland County Guidance Center (CCGC) is planning a ribbon-cutting of the new trail, likely in October or November; stay tuned. For the past nine months, Amcor and CU Maurice River have been working together for park stewardship. As part of Amcor’s Clean Communities Initiative, this company has funded a CU Maurice River project aiming to link the wider community with an outstanding urban park that hosts an impressive variety of natural and cultural resources. A full-color brochure about the Maurice River Bicycle & Walking Trail has been printed and is available at the office. It will be unveiled to the public at the October 1st walk and thereafter will be available at many places in Millville. In addition to the brochure we have created companion checklists. A number of folks put many hours into developing this product, notably Tiara Campbell, Leslie Ficcaglia, Tom McKee, Tony Klock, Mary Watkins, Jane Morton Galetto, Donna Vertolli, Karla Rossini, Bob Francois, Samantha Silver, Samantha Cruz, and Sharry Masarek. Amcor’s grant and even an employee sandwich sale has made this all possible. Thank you, Amcor! We are actively designing descriptive signage for the WheatonArts Nature Trail. Several months from now we hope that installation will be able to commence. 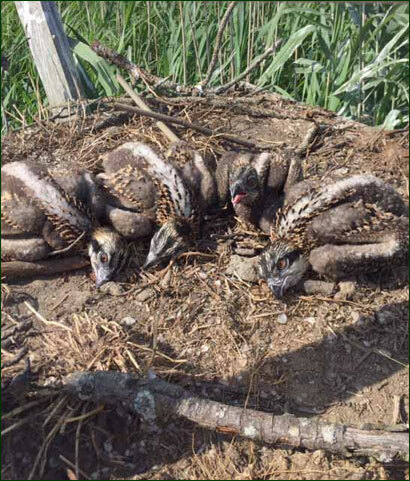 This year we saw a fairly good number of osprey, with 76 chicks being banded. We missed out on approximately six juveniles that we would normally band. One group of three had already fledged and the dolphin piers near Leesburg were a safety issue due to tidal conditions so we couldn’t get to the other nest. During previous summers we have been hoisted to reach chicks on phone poles, ballpark lights and you name it. All in all it was a good year. We will know more about how the birds fared statewide when Ben Wurst and Kathy Clark of Conserve Wildlife and the Endangered and Non Game Species program give us the annual report. On May 23, Governor Christie followed through on his threat, ignored the will of the voters, and conditionally vetoed S969, the Preserve New Jersey Act. With your help and many like-minded conservation organizations around the state, legislators were persuaded to override Governor Christie’s veto and release dollars held hostage to be used for historic, farmland, and open space preservation statewide. Hooray – and with special thanks to the leadership of Keeping NJ Green. Salem County Nature Club was treated to our presentation, Vulture Culture, on June 14th. At the end they were great sports and sang the vulture song. We are setting up our Annual Environmental Summit with Congressman LoBiondo. This is a session hosted by CU in the fall to which we invite environmental organizations to update the Congressman on regional bay and river issues. The South Jersey Bayshore Coalition plays a major role in this gathering. The formation of a NJ Coalition of Watershed Associations is being spearheaded by the Watershed Institute. This utilizes the collective expertise of the NJ watershed community to act with a unified voice on issues of mutual concern dealing with water quality, water quantity, and overall watershed health. CU Maurice River has been participating in organizational meetings. On September 10th we plan once again to be involved in Artists’ Day in Mauricetown. Generally we orchestrate CU Paint-A-Landscape and talk to folks about what CU does. CU Ambassadors, please contact Doreen via email. Remember to check our calendar for any changes or updates. Please keep us posted on any changes in your email address. Our emails contain a helpful stream of reminders and updates that you won’t want to miss. Do keep your membership up-to-date and/or invite a friend to join. Membership is set at $20 for individuals and $30 for families, although our average annual donation is approximately $75. Mail your check to PO Box 474, Millville, NJ 08332 or join online at www.cumauriceriver.org. A special thanks to all those who give the equally important gift of your time. We couldn’t do this without you!